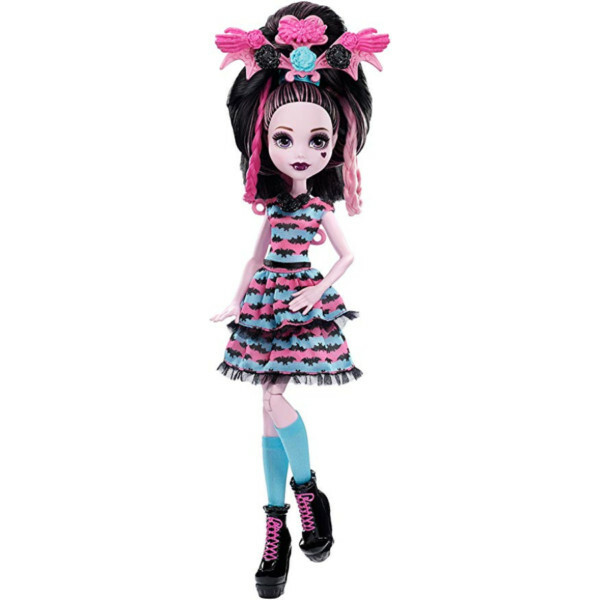 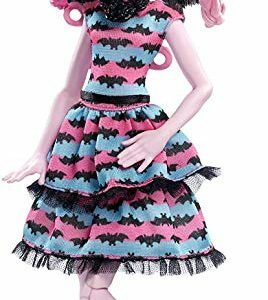 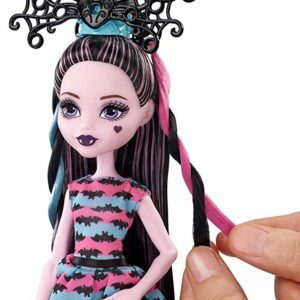 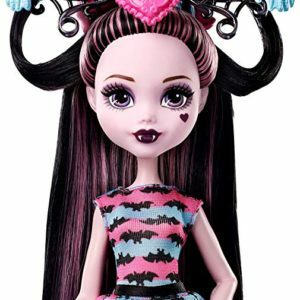 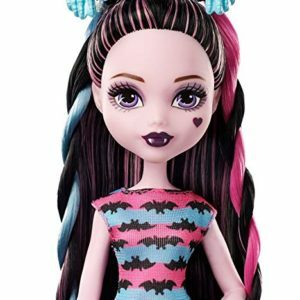 Draculaura doll is ready for hair-raising fun with ultra-long hair streaked her signature pink and black, plus 30 hair accessories! 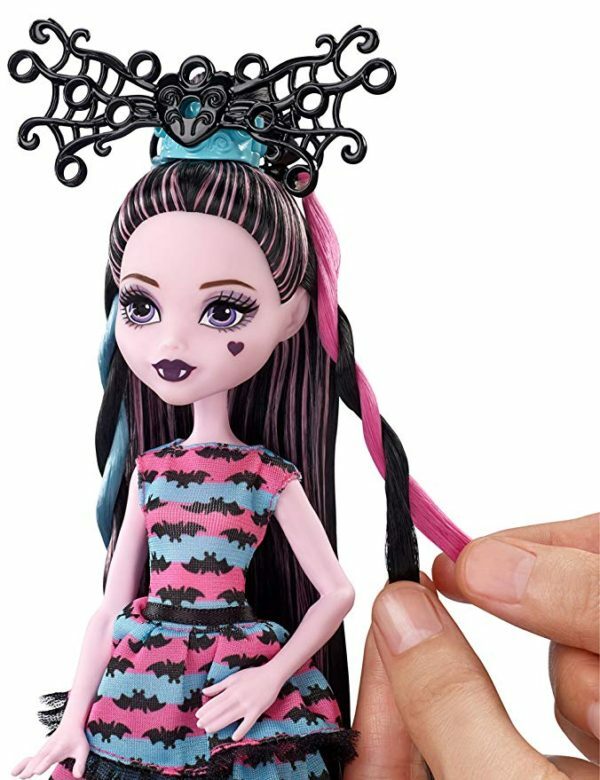 The hair decorations are designed in her favourite colours — shades of pink, black and blue — and with iconic shapes, like flowers, bats, cobwebs and wings. 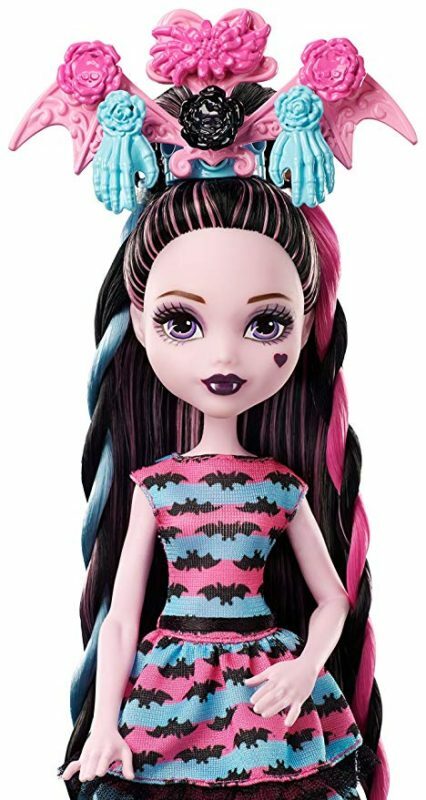 Three vibrant hair extensions — one in blue and two in different shades of pink — can add colour to her gore-geous long black hair. 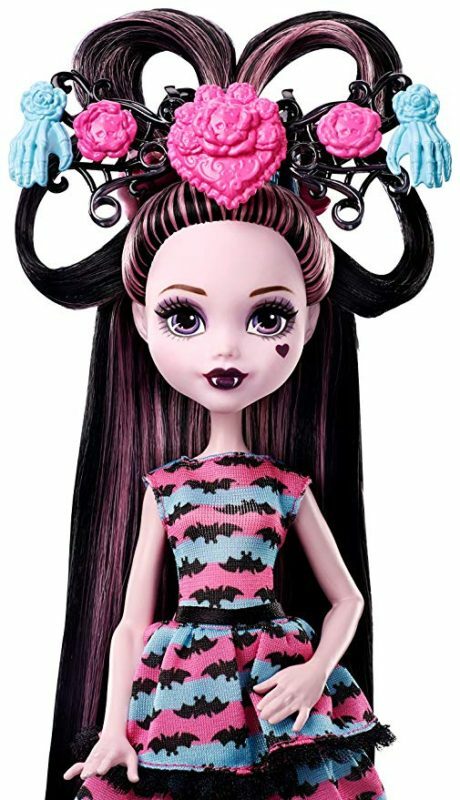 Draculaura doll (DVH36) is ready for hair-raising fun with ultra-long hair streaked her signature pink and black, plus 30 hair accessories!